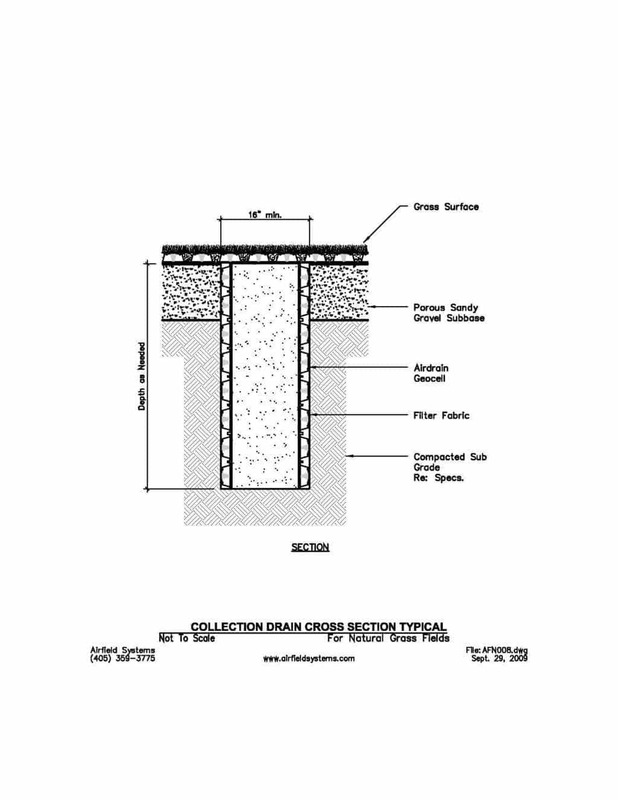 The AirDrain is made of a heavy-duty Geo Grid that is 1” inch high and wrapped in a clog resistant geotextile fabric, which is rated at 233 psi. core for strength and support. It resists the effects of hydrocarbons and offers outstanding low temperature flexibility. The AirDrain can go through freeze thaw cycles and not lose it’s performance. 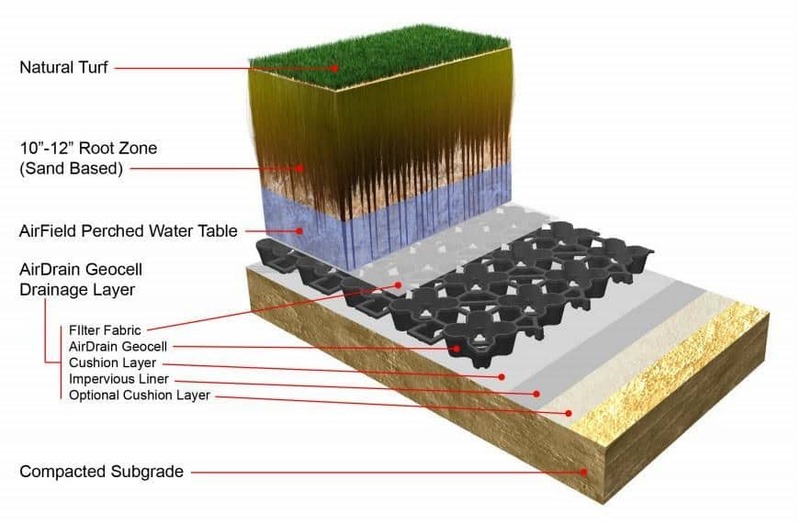 Specially-engineered design permits high flow rates for rapid dewatering of the soil, while effectively preventing passage of soil particles. 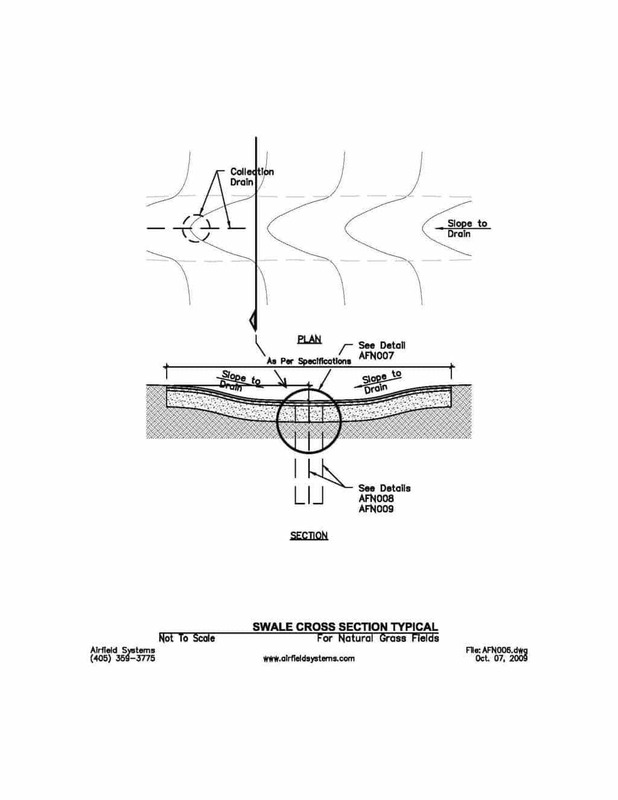 The 1″ inch high design brings gravity into play to drain the surrounding area. The design of AirDrain allows it to relieve hydrostatic pressure by acting as a shallow underdrain. 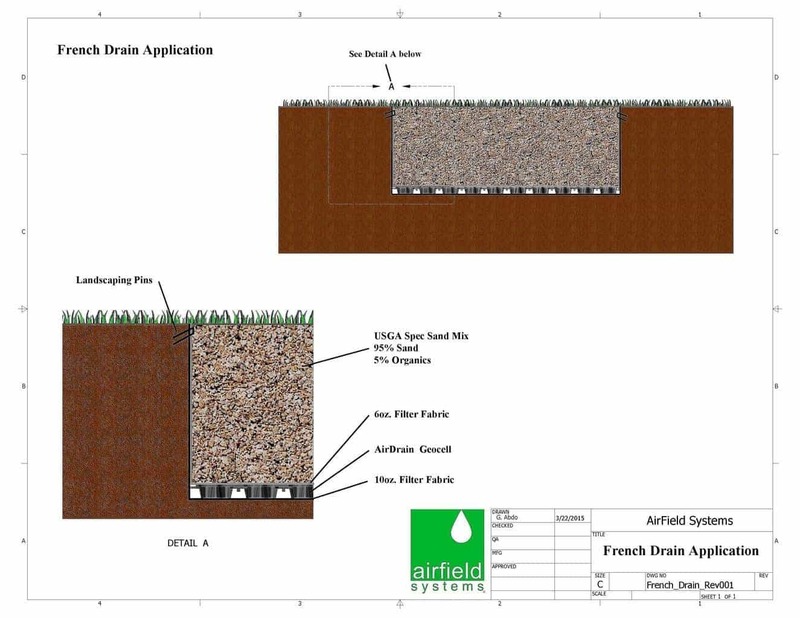 AirDrain is the superior performing and cost effective replacement for the “French” drain, or other conventional “drain-tile” systems. The AirDrain is 1″ high which actually brings gravity into play to pull the water through the profile, no other product out drains AirDrain ! With the ability to be covered in sand, and effecting extreme growth above the AirDrain French drain making it almost invisible. And will create probably the best turf on the project! 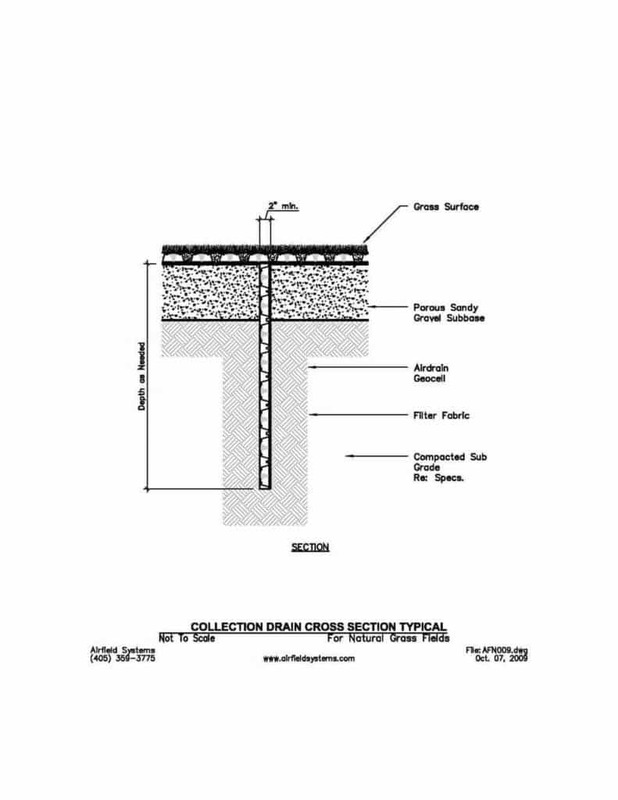 A French drain or weeping tile (also blind drain, rubble drain, rock drain, drain tile, perimeter drain, land drain, French ditch, sub-surface drain, sub-soil drain or agricultural drain) is a trench filled with gravel or rock or containing a perforated pipe that redirects surface water and groundwater away from an area.